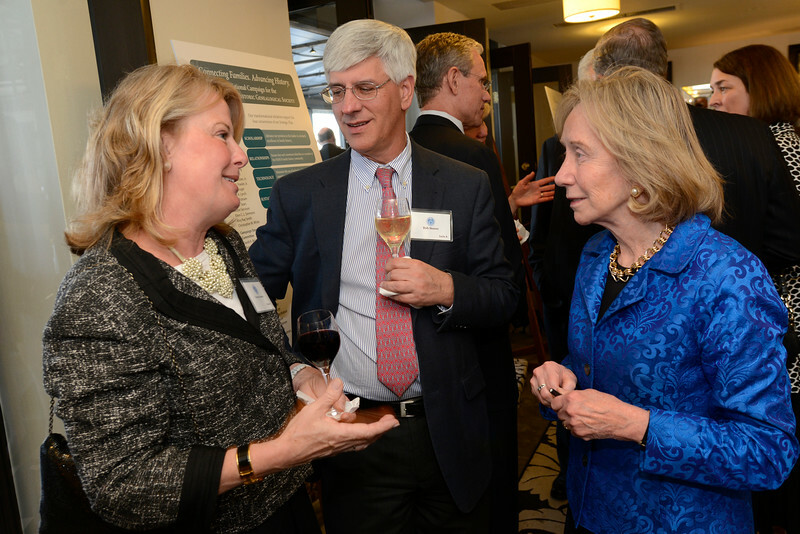 On April 25, 2014, NEHGS hosted its annual benefit dinner for some 200 guests at the Taj Boston Hotel. The NEHGS Lifetime Achievement Award for American History and Biography recipient and keynote speaker was Pulitzer Prizewinning author Doris Kearns Goodwin. She was presented with her own custom-bound family history, researched by NEHGS, which included new information on her Irish ancestry, descents from Salem witchcraft victims, and numerous presidential connections, to name just a few surprises. She spoke on the topic “Everlasting Legacies,” sharing heartwarming, poignant, and humorous personal stories illustrating her theme that “The people we love will live on so long as we pledge to tell and retell the stories of their lives.” Proceeds from the event supported our Connecting Families. Advancing History capital campaign.